Instagram – There’s Power In that Heart! Everyone reading this is well aware that Instagram has outgrown its beginnings as a fun app for kids and has become a serious content marketing, networking and audience building tool for recruiters and brands. It’s one of the most popular social networking sites on the planet and what is not to like about that kind of reach? With numbers surpassing both Facebook and Twitter, Instagram blows the other social networks away regarding engagement. Why? Studies have shown that we all enjoy the visual stimulation of pictures. We love to participate in others adventures, even if it is from a distance and no one loves it more than Millennials. Since they are now a significant presence in the workforce, you want to think about where they will be engaged. A PWC report stated that by 2020 50% of the workforce will be millennials and when you factor in that eMarketer states that 59% of them are on Instagram, you have a huge pool of talent from which to source. Regardless of what industry you recruit in or what your area of specialty is, we want to leverage that to our fullest advantage. The question becomes, how? 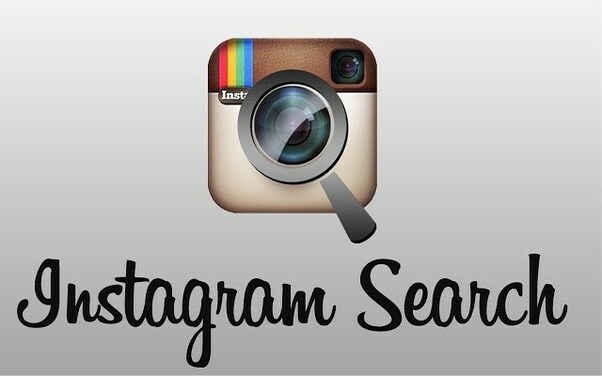 In my opinion, Google offers the quickest and most precise results for searching on Instagram. Let’s assume that you are looking for a coder using CSS in Chicago? I’m going to use the example of looking for an IT person loving every bit of CSS coding in Chicago. I wrote a fundamental Boolean search to outline my initial parameters. As you can see, that garnered over 9,000 results, so I am going to want to drill that down a bit, but it’s a good starting point. Think about companies you want to source from and add those to your Boolean search. I already like this guy! He codes AND loves nerf? Amazing! Ok, so he looks like fun and at first glance, qualified candidate as it relates to the search I extended. The next step is to engage my initial contact. I want to follow him, like his post and make a brief and engaging comment. The most important thing is to move the conversation offline as quickly as possible. Who Likes My Guy? Are those 13 other coders?? Ok, so I’m not quite that lucky, but there do seem to be a few leads that I will want to check out. That is an excellent way to source from people with similar likes, skills, geographic areas, etc. Now we are sourcing from our leads! All good stuff and expanding our network even more. Remember that social media recruiting is not as exact as resume mining. In using Instagram as a sourcing tool, we want to pique this initial person’s interest, but whenever possible also draw the attention of anyone else who reads the post and the comment. I have seen examples of this working across industries, so don’t think that it only applies to technical professionals. Zappos AT&T, Google, and Litmus as all examples of companies utilizing Instagram to its fullest, from using their account to sign up for tours of their facility to AT&T who lets an employee run their Instagram account for the day. Scary but true! The bottom line is that you can bet that those companies are leveraging Instagram and you should not be left behind. Be creative and relevant with your hashtags. Leverage trends and engage with your personality because that is what will gain you, followers. Do not just blindly send job links…nobody likes a bot! Develop a hashtag that is unique to you and that we can cross-reference, and that you are comfortable becoming synonymous with, enabling you to further your status as a leader in your industry. Join conversations to get more followers. Watch what is trending and relevant and jump on it. You have an opinion make it heard! Now is not the time to be shy. People follow interests, and you gain interest by, wait for it, being interesting! Let your personality come out and invite people to join you on your photographic journey. Also, ask questions. People love to give their opinion. If you see something that intrigues you, pose a question. Review the answers and engage those people. Join in with top contributors in your area. Become relevant to them and their audience, gaining further exposure for yourself and the jobs you’re recruiting for in that market. Find out what’s hot and happening in the markets you are recruiting in. You may not live there, but you can through Instagram! Decide what story you are going to tell and tell it consistently. Become an evangelist for your company job openings. Take photos of your work place (where permitted) and preach! I once had someone tell me Instagram wasn’t a useful tool in their industry because “you can’t recruit a chef on Instagram by liking a piece of cake.” Although I disagree with the generalization of the statement, they weren’t completely wrong. You can indeed find a chef that you want to recruit on Instagram through a shared appreciation of photos of culinary decadence! However, you won’t draw them to your photo of a piece of cake without immersing yourself in that industry and location and aggressively sourcing as well. As you grow your following, use Instagram to bring top talent to you! Your next chef candidate may be as close as a “liked” pulled pork Kansas City BBQ sandwich away!